The Vivarium was created as a part of the Research Institute of Cardiology in 1991. In 2009, it was included into the Institute of Experimental Medicine. The Vivarium is an important division of the Institute and designed for lab animal care and implementation of research and scientific experimental work. In 2014, the reconstruction of the building of the Institute of Experimental Medicine was completed and the Vivarium was located on the second floor. In Vivarium we keep high SPF and genetic status animals (from Specified Pathogen Free, free from specified pathogens) of two types: mice (Mus musculus) and rats (Rattus norvegicus). The total area of the vivarium is 400 sq. m. The maximum number of animals at the Vivarium is up to 2,000 mice and 1000 rats simultaneously. 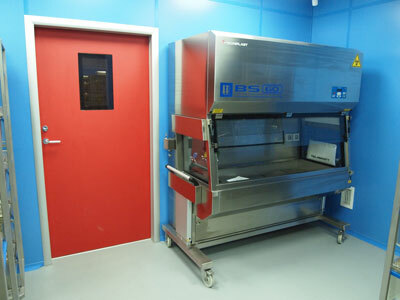 To perform all the required technological and sanitary conditions of the SPF animal care the Vivarium is organized according to the clean room principle with sanitary inspection. 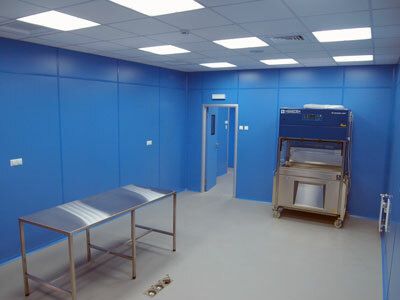 The Vivarium barrier sector includes: clean corridor, animal room, procedure room, operating unit for chronic experiments and the clean side of the washing and sterilization department. All the Vivarium premises comply with the requirements of sanitary-epidemiological and veterinary legislation. The air supplied by the forced ventilation systems is exposed to a two-step cleaning and corresponds to the 7th purity class of ISO. Biosafety Level corresponds to ABSL-1 (biological hazards minimum level). According to the Russian Federation classification the Vivarium facility is allowed to carry out works of the IV microorganisms pathogenicity group. Al the Vivarium works are carried out according to GLP vivarium standard (“Good Laboratory Practice”) and on the basis of production schedules. All research and laboratory animal care manipulations are carried out according to the approved operating procedures standards. Sanitary inspection of the Vivarium working area is designed to provide proper degree of microbiological purity of care taking personnel and scientific staff when passing the clean area. In the sanitary inspection we provide two different types of sluice system (dry and wet method). Two sluice systems allow the unimpeded/free personnel passage behind the barrier line in case of emergency. Dry sanitary inspection facility is equipped with an air shower (Tecniplast, Italy) for staff technology clothing surface cleaning with the air flow. Washing and drying machines for technological clothes processing (Miele, Germany). 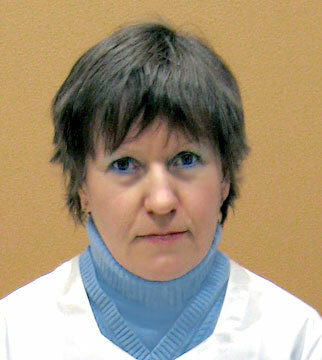 All Vivarium experimental studies are carried out by the researchers of the Institute of Experimental Medicine of Federal Almazov Medical Research Centre as well as members of the clinical research laboratories performing parts of the research associated with experiments on laboratory animals. Protocols and applications for experimental studies on animals within the grant projects, dissertation research and the State Task are considered by the Commission on the use of laboratory animals. Chairman of the Commission is Michael Galagoudza, PhD, Director of the Institute of Experimental Medicine. Animals come to the Vivarium only from certified animal breeding centers corresponding to all international requirements and ensuring health and genetic status of purchased animals. The Vivarium veterinarian looks after the health and living conditions of lab animals. The Vivarium monitoring system is established to maintain and confirm the status of SPF-laboratory animal health. The animal health monitoring system is represented by a set of clinical, laboratory and diagnostic procedures and includes internal and external monitoring. The program of internal monitoring of animal health involves regular inspection by a veterinarian and recording physiological parameters. External monitoring of animal health is a complex of planned diagnostic measures including bacteriological, serological, parasitological and pathological studies. The rooms for laboratory animals are always maintained with the required climate level indicators: temperature, humidity, ventilation rate, pressure, air velocity, pollutants content, noise and light. Lab animal rooms have 12/12-hour light cycle. 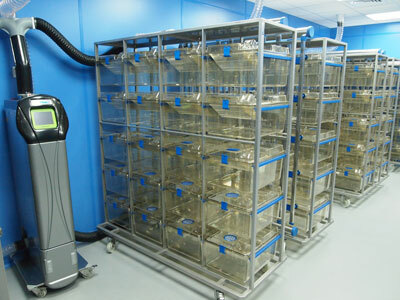 All Vivarium animals are kept in individually ventilated cages isolated in 5 ISO class. This system creates a barrier at each cage and protects animals from microorganisms, as well as keeps constant microclimate in cages by reducing fluctuations in temperature and humidity and drafts zero. Furthermore, it significantly reduces the spread of animal allergens in the air. Vivarium mice and rats are held separately in order to avoid visual, osphretic and auditory contact between them. Animals are provided with environmental enrichment items for games, nesting, resting, shelter and food stock. We use dustless wood fillers with high adsorption properties for our animals. To support the fillers quality the Vivarium has all the necessary documentation: materials safety data sheet, certificate of analysis, the data on microbiological studies and research on heavy metals content, the product safety in relation to essential oils emission. The animals feeding is carried out with total mixed ration pelleted feed providing the physiological needs for nutrients, minerals, vitamins, micro elements and energy. The food is standartized for quality and safety in accordance with international requirements. For animal watering we use the water purified by sterilizing filtration in reverse osmosis system RiOs 30 (Merck Millipore).